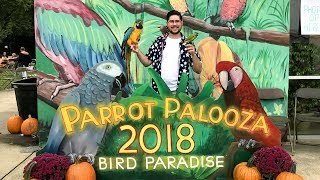 This is a video of Rachel my 6 year old Blue and Gold Macaw meeting new people on the boardwalk in Coney Island. She used to be more uncomfortable with other people but through taming, training, harness, and going outside she is learning to be more friendly with all people. Pay attention how I make sure to reward Rachel and make it as good of an experience for her as the audience. Doh! Kili just pooped on me, be right back. 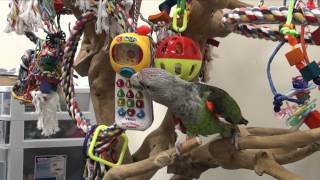 Browse hundreds of free Parrot Wizard Videos on all topics parrot related: taming, training, harness, socialization, grooming, vet, and more using the Parrot Wizard Video browser. Youtube has made it difficult to find older videos so we made it easy for you to find all Parrot Wizard Videos in one place. 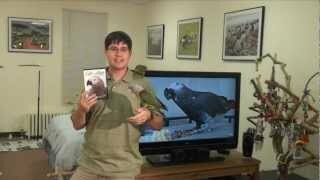 Free videos about how to train your parrot, parrot care tips, and more. 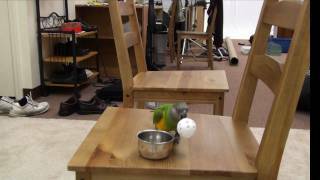 Parrot Wizard is a website for parrot owners seeking to buy perches, trees, bird stands, foraging toys, and trick training props for all kinds of parrots. 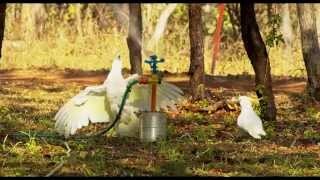 The Parrot Wizard is well known for producing Parrot Training Perches, NU Perches, and NU Perch Tree Stands. 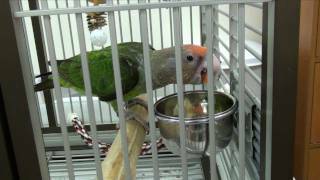 Unique perches for any kind of Parrot, Parrotlet, Parakeet, Lovebird, Cockatiel, Conure, African Grey, Amazon, Eclectus, Cockatoo, or Macaw.